After a big night on the world stage in the Dominican Republic, the National Costume of Miss Multiverse Australia 2017 was revealed. 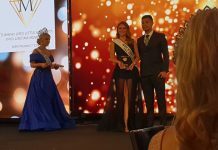 On the 2nd of December 2017 the 30 contestants from around the world competed on stage at the Miss Multiverse model contest and Reality TV Show. 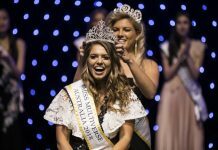 Gabrielle Keaton, Miss Multiverse Australia 2017 was among the Top 10 models who made it through to the Top 10. Gabrielle’s National Costume was a stand-out piece which lit up the stage and made the heads turn. 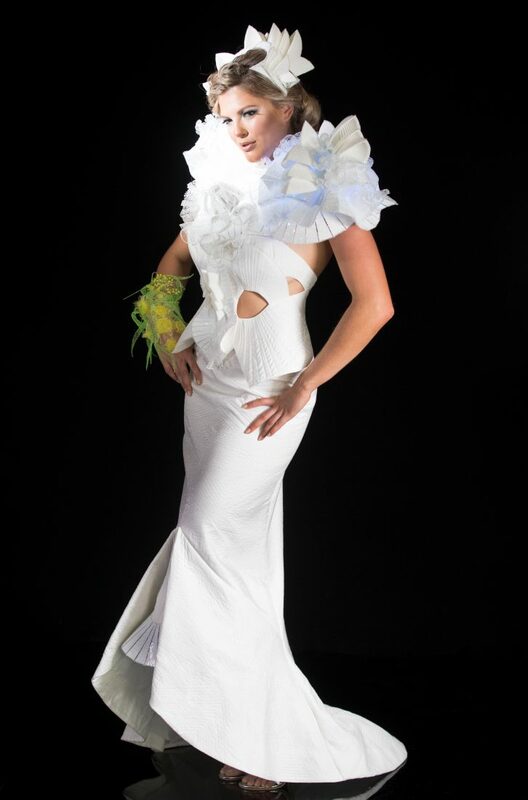 The elegant white dress is decorated with 3D printed Sydney Opera House motives and choral motives from the Great Barrier Reef. The dress is also lit by blue LED lights to represent the ocean surrounding the Sydney Opera House and the Great Barrier Reef. As part of the costume, a yellow and green arm-piece gave some colour and represented the Australian Flora. Never before has an Australian National Costume for a modelling contest been designed by an architect and wearable-art artist. Even more remarkable is that this dress was 3D printed. The dress is stylish and contemporary; a dress built from layers of sculptured design, freehand 3Doodled extrusions, 3D printed componentry, even a little lighting. The Miss Multiverse Australia national costume has been designed by award-winning artist, Erica Gray and architect Zoran Zivanovic. The pair was approached by the National Director, Yolandi Franken, after working together on a Vivid Sydney project earlier in the year. The Hard Rock Hotel & Casino Punta Cana hosts the World finals of Miss Multiverse since 2013.